Alternative Title(s) Ace o Nerae! High school freshman Hiromi joins the tennis club because she admires the elegant Ryuzaki but the new coach, Jin Munakata, names inexperienced Hiromi to play in a coming tournament. 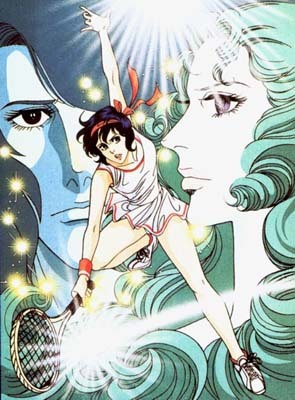 Hiromi considers to quitting tennis but finds, deep down in her soul, she loves tennis after all. She comes back to the club and her talent starts to bloom under Munakata's coaching. Hiromi develops a strong, emotional bond with her coach, not knowing that Munakata is risking his young life due to chronic illness.